High Court of Gujarat – HC OJAS GUJ NIC IN published New Latest Recruitment Notification for the Post of Assistant Librarian Jobs. Today 27th September this advertisement is published in only newspaper, full official details will be available from 29 September, 2018 ,So Infort to all of you can get full details for this recruitment as under below mention notification link. HC OJAS Online application will be start from 1st October 2018. Jobs Description: Gujarat High Court invited Assistant Librarian posts. More Details about Educational Qualification View Official Jobs Advt. Age limit, Application Fee, Selection Process All are details will be available soon. 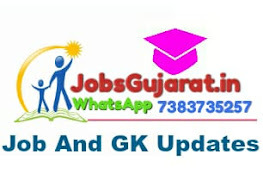 Interested and Eligible Candidates can apply online High Court of Gujarat Assistant Librarian Jobs by below mentioned link of High Court of Gujarat https://hc-ojas.guj.nic.in.